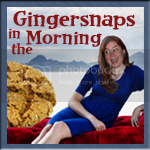 Gingersnaps In The Morning: Don't Drink The Water! 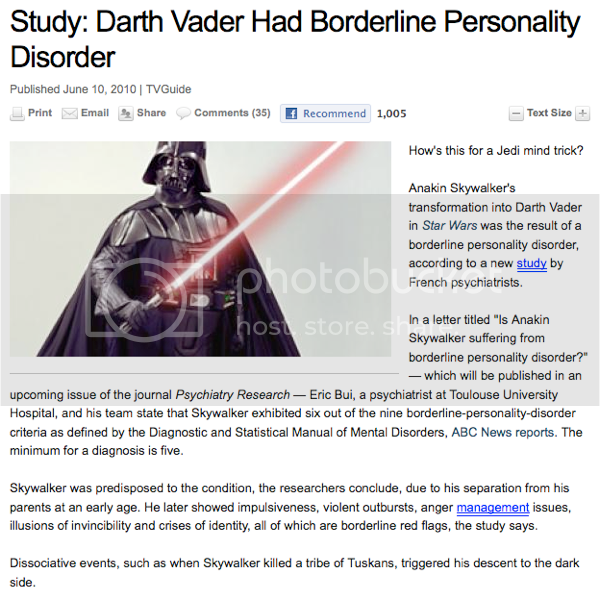 In the news, a Psychiatrist at Toulouse University Hospital and his team have concluded that Anakin Skywalker's transformation into Darth Vader was a result of him having Borderline Personality Disorder. The researchers conclude that he was predisposed to having this personality disorder after being separated from his parents (actually just mother) at such a young age. And dissociative events, such as the Tuskan Raider massacre, triggered his descent to the Dark Side. All of this will be published in the upcoming issue of the journal Psychiatry Research. You know my Grandmother had Borderline Personality Disorder, but I don't recall her having massacred any Tuskan Raiders or little kid padawans. But we lived in different states, so who knows what went on when I wasn't around. Though I can say she was definitely on the Dark Side. 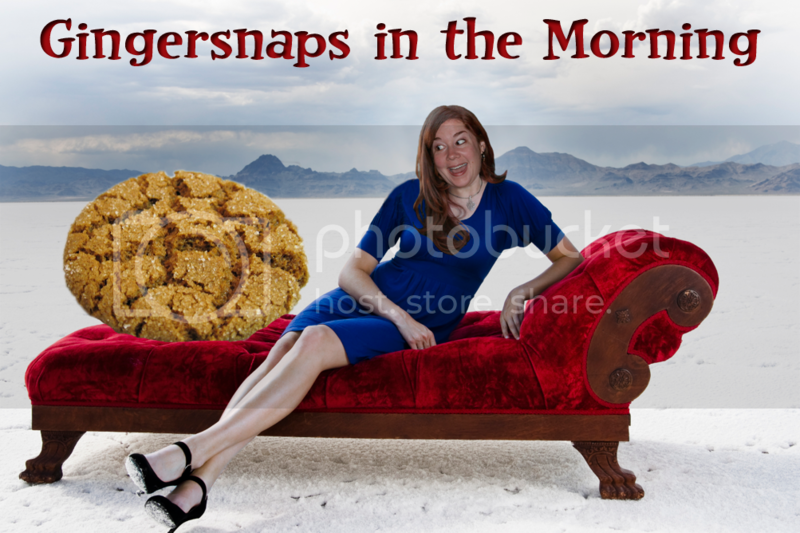 I'd say she was the one making cookies for Dark Side recruits, but she didn't do things like that. Just think... 1/4 of my genes came from her. Explains a lot. You hear that sound? It's the wailing of thousands of women now that Orlando Bloom and his girlfriend are officially engaged. Or maybe it's just my best friend Joanna making all that noise. Calm down, Joanna. There's still time to break them up before the wedding. I mean, congratulations, Orlando and Not-Joanna. 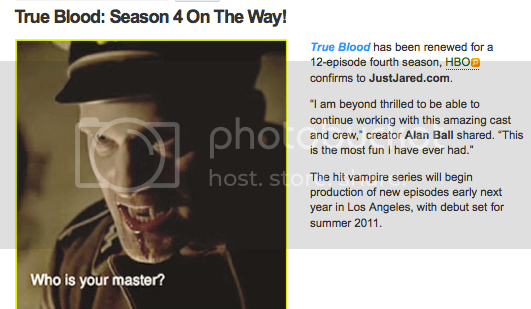 Great news for True Blood fans: Season 4 has been ordered! 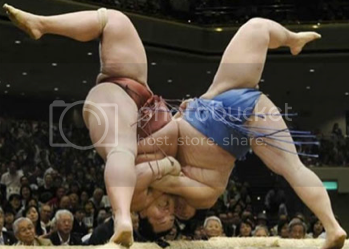 Hey, it's synchronized swimming without the water. With really big almost-naked Asian guys. Or perhaps interpretive dance? The world doesn't take 24 hours to turn on its axis, it really takes 23 hours, 56 minutes and 4 seconds. I started to comment from my phone earlier, which turned into to a pain in the arse, so I decided to wait until I was back on my laptop. And, that's now! So, have you ever seen Extras with Ricky Gervais? Genius show if not-netflix it! But, anywho-one of my favorite episodes is w/ Orlando Bloom as a guest star-as an inflated version of himself. One of the Extras, Maggie, basically ignores him and it bothers him a lot. She tells him he's just not that good looking-and he gets all offended and keeps trying to make her love him by telling her how many women on the set of Pirates love him instead of Johnny Depp--it's awesome! And, just so funny! That's how I like to think of Orlando Bloom. Anyway-to make a long story longer, I totally pulled a Maggie when I heard about his engagement. My husband told me like I should be so sad that he's off the market. And I believe my response was meh, that's cool. And he was all, you're so Maggie! Also, what's with him and lollipop head women? Kate Bosworth was at her creepy skinniest. And this Miranda Kerr is super skinny too-like she needs to eat a sandwich. Or 5. Ooh, or a Horseshoe sandwich (a Springfield, IL tradition-look it up!) Just sayin. Good point on the lollipop women. Kate was at her worst when she was dating him. Maybe he likes to date skeletons. Horseshoe sandwich? Sounds dental work inducing. I'll look it up.